Get my free eBook. Secrets from the Formula! In order to maintain balance in my life (required for this type of work) and to take the time I need to create content to help more people, I have a limited schedule set aside for doing reading / healing work. However, I realize there are times when you need an appointment before my schedule shows available time. For those times, when you feel you must have a session before my next available appointment, I am offering sessions at an increased rate of $200. That session may be based on the format of my regular Full Psychic Healing, or simply to provide guidance from the spirit realm on any questions you may have or any problems you are dealing with. 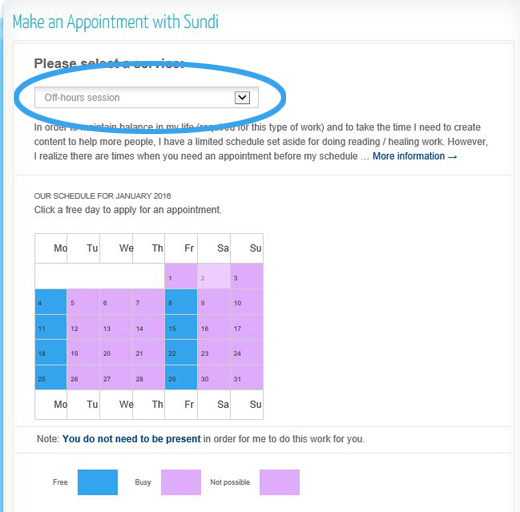 In order to view this special schedule, please choose "Off-hours Session" from the drop-down at schedulesundibright.com. If you need a session on the weekend or Tuesday-Thursday mornings, please contact me.